During Lent and Advent we usually offer a series of short talks. They are often preceded by light lunches (except on Ash Wednesday). Sometimes we invite speakers from a variety of local churches to come and give an insight into the meanings of the seasons from their perspectives, and sometimes we do something different. All are welcome. In advent 2017 we’re following a 4 week course, written by Revd Lucy Winkett. : “So What are you waiting for?”. The season of Advent bends time itself. And for us, time drags or speeds by, depending on our circumstances and stage of life. Our attitude to time gives us clues about our attitude towards God.It’s a cliche to say that we live our lives often waiting for life to start, but that’s what many people experience, until they realise that they were living their lives all along. Whether you’re always in a hurry or have too much time on your hands, this course is for you, as we explore a spiritual life that encourages us to be active in the chronological world, and rooted in Kairos, God’s time. In Lent 2015 we looked at the theme Last Words — Jesus’s last words from the cross. In Advent 2014 we looked at the theme What do the Wesleys have to say to us today. In Lent 2014 we explored the theme People of the Gospels. In Advent 2013 we explored the theme of Expecting Christ. 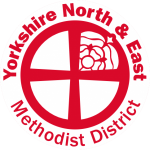 In Lent 2012 we stayed within Methodism and invited ministers from both the York (South) and York (North) circuits, knowing that the two circuits would come together to form a new unified circuit in September. In Advent 2012 we heard from Revd Elizabeth Cushion, Revd Matthew Porter, and Nicky Gladstone from Carecent. Lent 2013 saw us adopt the theme of People of the Passion.